Design For Manufacturing (DFM) report, it's a bridge between product developer and mold manufacturer. It has been implemented in many manufacturing industries and proved to a sufficient way to improve efficiency. 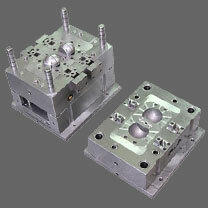 A comprehensive DFM report for mold making project would be the first step to success. As a mold maker, the more potential problems you foresee, the less risks you had in the manufacturing process. Here are a summary for it. Many kinds of raw material are frequently used, such as PC, PC+ABS, ABS, PS, HIPS, Nylon, Material with glass or fiber filled suitability and price different of them are different. More importantly, the shrinkage rate is different, which is key factor to measurement and tolerance precision. Draft angle is a necessary for part release from mold cavity, but it will change the appearance of the original product design slightly. It should run through by both the mold manufacturer and designer. Rib thickness should be around 60% wall thickness, avoid uneven wall thickness, avoid thin wall area as much as possible. Gate location selection sometime is critical when the part have high requirement on surface finish. What kind of gate determines the way to produce and even the mass production cost. It's necessary to give a brief introduction of the mold design mechanical structure employed, such as sliders, lifters etc. Make sure the parting line is accepted. Define the finish of the part surface, it could have many kinds of finish on one part. Define where would be the engraving and contents.